Notes from the Civil Society Policy Forum Session at the 2017 World Bank and IMF Spring Meetings on IMF and World Bank programmes in the MENA Region. Alternatives that could have achieved the same objective without incurring such high social cost. On freezing the public wage bill, it was neither efficient nor equitable, as it affects inclusive growth, undermines further the performance of public services, and does not tackle the inequality of income within the public sector. On cutting energy subsidies, it was not efficient as the major cut was actually due to the decline in oil prices. Then the IMF imposed devaluation leading to a surge in the costs (and the deficit). It also did not include a third of the budget of energy subsidies, as natural gas used in energy intensive industries was not included in the IMF mandated cuts. It was also not equitable because the burden on near poor and middle class is more than that of higher income classes. It also hides the generous subsidies that feed politically connected factories. The reduction in the wage bill must be limited to the remuneration of senior civil servants. This reduction should be calculated after obliging the government to merge all private funds, which in turn conceal a large part of the income of senior officials, thus enhancing the fight against corruption and limits disparity of incomes within the government sector. Education and health requirements shall not be affected by the freezing in the rates of appointment of civil servants, and a plan must be developed to transfer the surplus in administrative civil servants from the public sectors where labor force is accumulated to service providers’ categories where possible. Electricity subsidies: The reciprocal subsidy system should be applied again, whereby the segment of large consumers would pay a price higher than the cost, covering the value of subsidies given to electricity users from among the poor, and thus the cost would be covered while social justice would be achieved. The government should begin a subsidies cut program of large companies (from among those affiliated to Mubarak’s regime, according to a recent World Bank study), before making large segments of citizens responsible for the loan repayment bill. The subsidies item in the public budget must be published in line with the IMF Handbook of Public Financial Management, showing subsidies to corporates (private and public each separately) compared to subsidies to individuals. The increase in interest means that the banking sector will benefit directly from the treasury bills holders, by increasing their profits resulting from a non-risk income. A limited number of banks control this activity. The IMF imposed the devaluation of EG Pound. Which ultimately will undermine the objective of the fiscal consolidation. stimulating government revenues, especially the revision of the tax system, on the one hand, to achieve justice in terms of the tax burden and on the other to raise the taxes to GDP ratio (currently less than 13%). The implementation of the VAT must be accompanied by a progressive tax package on incomes and wealth. Capital gains and property taxes: Egypt is ranked the eighth worst country in terms of wealth distribution. Mainly because of the absence of taxes on capital and capital gains, (taxes on non-used real estate property, inheritance taxes, taxes on closed apartments (10 million units) or any kind of estate (stocks, deposits, etc.)) and the lack of capital gains taxes such as gains resulting from mergers, acquisitions and sale of real estate, lands and others. Jordan has withstood many external shocks and is highly reliant on external support. Maintaining this relationship is how it has survived. Yet despite increasing levels of assistance, there are a lot of political and security problems surrounding Jordan. 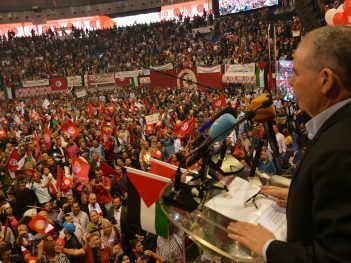 Jordan has failed to develop a sustainable economy and economic growth. The first IMF agreement came in 1989 and mostly served to enable Jordan to continue servicing its foreign debt. During this period living costs had risen enormously and the economy continued to deteriorate. Under IMF patronage, Jordan has witnessed a wave of privatisation, deregulation, tax increases, tariff reductions, elimination of subsidies and public sector cuts aimed at fiscal consolidation. While they also experienced higher economic growth, this proved to be unsustainable and not inclusive. Even when Jordan was out of the IMF programme, it continued these types of policies. When new deals were made years later, they didn’t just stop fuel subsidies, but they even introduced special taxes on these goods. Both sales and customs tax were increased on many essential goods. It very clearly demonstrates that years of Bank and Fund structural adjustment programmes have left the country incapable of addressing its own socioeconomic challenges. These include high unemployment, in particular youth unemployment, low wages, and weak labour market protections. For example there is still no space for unions and collective bargaining in Jordan. The conclusion must be reached Bank and Fund programmes tried and failed to overcome the economic challenges of Jordan. Why is Oxfam becoming more heavily invested in particular in Jordan and Lebanon? While these countries have experienced growth, it has not been inclusive. There has been increasing inequality. And while poverty rates have fallen, certain isolated populations are not benefitting from broader economic growth. This has also contributed to other major social issues, including governance and corruption issues and huge rates of aid dependency, on top of the unprecedented refugee crisis from Syria. The number of Syrian refugees Lebanon and Jordan are hosting is enormous. Also the terms on which the countries can lend have changed. There recently were two international conferences pledging money to these countries, which was desperately needed. A new financing mechanism was initiated, the MENA facility, which is aimed at mobilising blended finance. So there is a lot of money coming into the countries. Aid needs to become more predictable. There has been a huge dip in budget support for Lebanon. These governments have the capacity to deliver services, they just need more funding, and right now INGOs are sometimes getting more funding than these governments. The loans of the last three decades have made many things worse. Transparency is not very good. Jordan’s Response Plan helps track some money but doesn’t go beyond the refugee crisis. In Lebanon, transparency is worse. There is no system for transparency or even an approved budget. Aid is not always aligned with national priorities. This is more an issue for Lebanon than Jordan. So, our recommendations are not exactly new. They include enhancing transparency and accountability, national ownership and building response systems. Alignment is important, no more conditionalities should be imposed that do more harm than good, and more budget support is needed. Support also needs to increase to national accountability mechanisms, and broad stakeholder consultation and cso engagement is important. Finally, increased legal protection for displaced communities is essential as well. I agree with the need for more systematic discussions with civil society. All presentation have stressed how IMF support is associated with difficult policy measures, fiscal consolidation, austerity etc. This is however the nature of our role. We are not in the business of supporting development, we are in the business of helping countries deal with balance of payment issues. That is usually not associated with easy policies. Our main goal is to help countries turn around their economies and grow in a sustainable way. I want to stress the importance of country ownership. 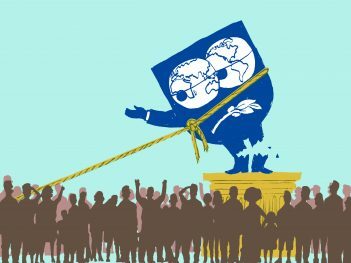 The vast experience of countries show policies can only be successful if there is country ownership. We have internalised this. We are talking to the parliamentary network, our teams talk to parliaments in countries. We also have conversations directly with civil society. Could/should we do more? Yes. This is work in progress. It is a lesson we have learned. However our chief disagreement with the panellists is on subsidies. The IMF remains persuaded subsidies are a bad way of helping poor people or even the middle class. It benefits the rich. Fuel subsidies are also bad for the environment and health. 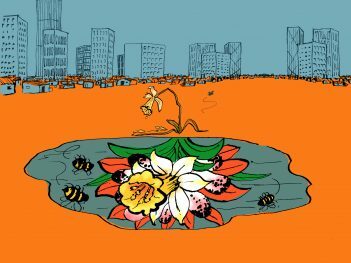 Daniela Gressani: It is interesting there are many question on taxes. Not a lot of our programmes include measures to collect more property taxes. It is important to note not all countries have capacity to collect these taxes or they might not agree with these policies. We can all agree indirect taxes are not the way to improve fairness. On development, we are learning about the value of public investments in things like infrastructure. We are trying to incorporate that in our programmes now. Governance, we all agree any economic policy grounded on transparency and accountability will be more successful. Salma Hussein: I did not see any allocation in the most recent budget for nurseries, as the IMF programme mandated. There were no consultations with civil society on this. In response to Daniela, you mentioned IMF policies are by nature difficult. Actually, they are not difficult policies. They are very easy for the rich. All the benefits go to the rich and well-connected. Nabil Abdo: The IMF likes to say it is a technical institution but it is actually very political. It serves the creditors and bankers. They say compliance is difficult on tax, but this issue is not so much about capacity but rather about political economy. It is simply easier to collect from the poor through wages and consumption. What the IMF is doing is political intervention with a technical face. There is a reason why there is no transparency, it benefits the rich. If the poor would know what is taking place it would be a lot more difficult to pass these policies. So, we have to look more at the political dimensions. Christopher Jarvis (IMF): To add to Daniella on the importance of ownership. We have a lot of common ground with Dr. Hussein on the prescriptions, like more progressive taxes, etc. but an economic programme has to be owned by the government, and those types of policies were not among the government’s priorities. While we would like to see more transparency, we were not able to press it more for military and security spending for example. Setting up a group, including the women’s council, to look at safety of public transportation. Notes from the Civil Society Policy Forum session on 10 April on the incoherence between IMF-backed austerity policies, via loan conditionality and policy advice, and the realization of the right to health. Notes from a meeting at the IMF/World Bank CSO Forum at the 2016 Spring meetings, evaluating how well the World Bank and IMF have done on respecting the country ownership principle ten years after its international acceptance. Reforming IMF conditionality. Where do we stand? Is the European recovery finally under way? CEPR event at the 2013 civil society forum on whether a recovery is under way in Europe; held as a debate between Prakash Loungani of the IMF's research department and Mark Weisbrot, CEPR co-director. How can the IMF enhance its focus on growth and poverty reduction in LICS? A civil society meeting held at the World Bank and the IMF hold their 2012 spring meetings in Washington DC on Friday 20th April. 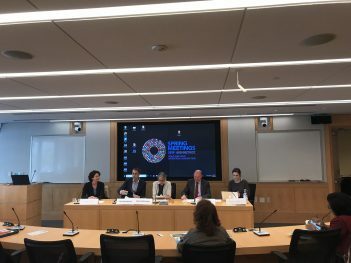 As the World Bank and the IMF hold their 2012 spring meetings in Washington DC this week, Latindadd and the Bretton Woods Project organised a seminar about regulating financial flows on Thursday 19 April. Minutes from a 4 May 2011 consultation in London between civil society organisations and IMF staff. Notes of a meeting between UK civil society and DFID staff. 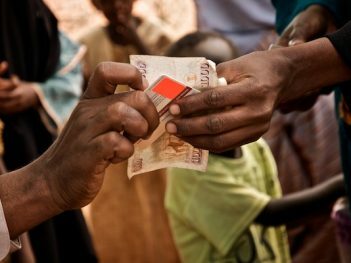 This year, donor countries will decide on their financial contributions to the World Bank's International Development Association (IDA) for 2011-2014. The IMF: Change we can believe in? 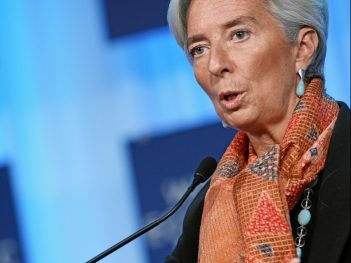 The IMF: Change we can believe in? Notes of a civil society meeting in Istanbul. Speakers include Joseph Stiglitz, Andrew Kumbatira, Caroline Atkinson, and Bhumika Muchhala. Summary of a discussion with German government representatives, Jomo KS of the UN and civil society organisations. Norway, Germany, IMF, WOrld Bank and experts discuss tackling tax evasion and capital flight. Highlights of a 20 October discussion on the the IMF's fiscal and monetary policy advice and conditionality for low-income countries at the World Bank-IMF annual meetings 2007. Highlights of a 21 October discussion on the IMF's Policy Support Instrument (PSI) at the World Bank-IMF annual meetings 2007. Highlights of a 4 October meeting between NGOs in the BWI-UK network and secretary of state for international development, Douglas Alexander, addressing IFI strategic reviews, aid effectiveness, clean energy/climate change and a number of other issues. Highlights of a 22 June 2007 meeting between UK NGOs and UK executive director to the World Bank and IMF, Tom Scholar. Issues covered included review of the Bank's transport strategy, avoided deforestation, conditionality, debt, social protection and IFI governance. Highlights of quarterly meeting between UK executive director to the World Bank and IMF and UK NGOs. Topics covered include CSO access to annual meetings, IMF strategic review, conditionality, anti-corruption and education. Highlights of a spring meetings dialogue hosted by the IMF on scaling-up aid, where senior Fund staff Peter Heller walked out. Uncorrected highlights of a 21 April 2006 workshop hosted by the Independent Evaluation Office on their evaluation of the role of the IMF in the determination of the external financing envelope in sub-Saharan Africa. Highlights of a civil society dialogue on the IMF Poverty Reduction and Growth Facility, at the World Bank spring meetings in Washington, 20 April 2006. Highlights of a 20 April civil society strategy session in Washington on debt, conditionality and corruption. Dialogue on the Doha trade round at the World Bank-IMF spring meetings in Washington, 20 April 2006. Dialogue on national development strategies and the Millennium Development Goals at the World Bank-IMF spring meetings in Washington, 20 April 2006. Uncorrected highlights of a 14 December meeting between UK NGOs and UK Executive Director to the World Bank and IMF, Tom Scholar. This year's Reality of Aid report focuses on Governance and Human Rights in International Cooperation. It was produced by a global network of civil society organizations from both the north and south. The report calls for all actors in the global aid regime to entrench the discourse of human rights in international cooperation. As Jordan is engulfed in social unrest and political upheaval, questions are raised around the relationship between IMF conditionality and trends in instability. UN Special Rapporteur publishes report on IMF and social protection, calls on Fund to practice what it preaches. 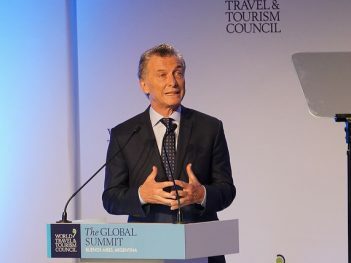 As Argentina agrees to a $50 billion IMF loan, the ghost of loans past lingers, as protests erupt and strikes begin. Stephen Kidd critiques Bretton Woods Institutions' approach to targeted social protection systems, arguing the poor lose out the most. 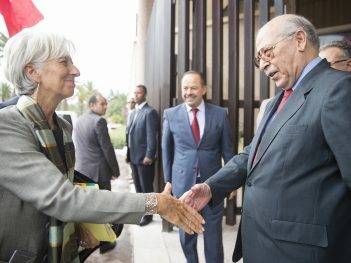 Despite claiming to no longer support austerity, the IMF has imposed damaging cutbacks on the people of Tunisia as part of its loan conditionality, leading to widespread discontent on Tunisian streets. Civil society was out in full force during annual meetings challenging the IMF’s claims that it is reducing economic and gender inequality. Team of UK academics launch new, freely available IMF conditionality database. WILPF submitted a statement to Human Rights Council criticising the IMF's Ukraine programme. The statement argued that the programme's harsh conditionalities hurt women in particular and called for a human rights based approach to macroeconomic policy making.